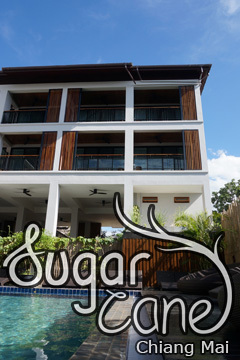 Pangvara Place is perfectly located for both business and leisure guests in Chiang Mai. The hotel offers guests a range of services and amenities designed to provide comfort and convenience. Free Wi-Fi in all rooms, luggage storage, Wi-Fi in public areas, car park, restaurant are there for guest's enjoyment. Each guestroom is elegantly furnished and equipped with handy amenities. Entertain the hotel's recreational facilities, including massage. Pangvara Place combines warm hospitality with a lovely ambiance to make your stay in Chiang Mai unforgettable. Pangvara Place - Chiang Mai classifies itself as a 2 star hotel.